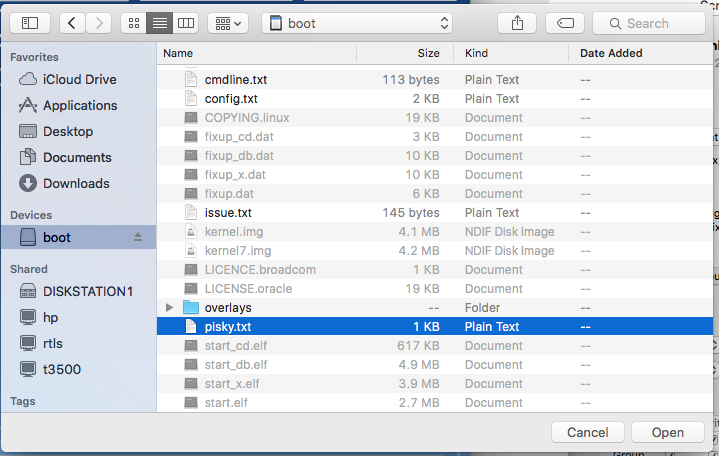 This program simplifies the task of configuring your Pi In The Sky SD card, by providing a simple, structured user interface with explanations of each configuration option. It is open-source, and available for Windows and OS X. There is no installer - just save and run. Insert your PITS SD card into your computer SD slot, using a Micro SD adapter. Select the file on your SD card, and click Open to open it. 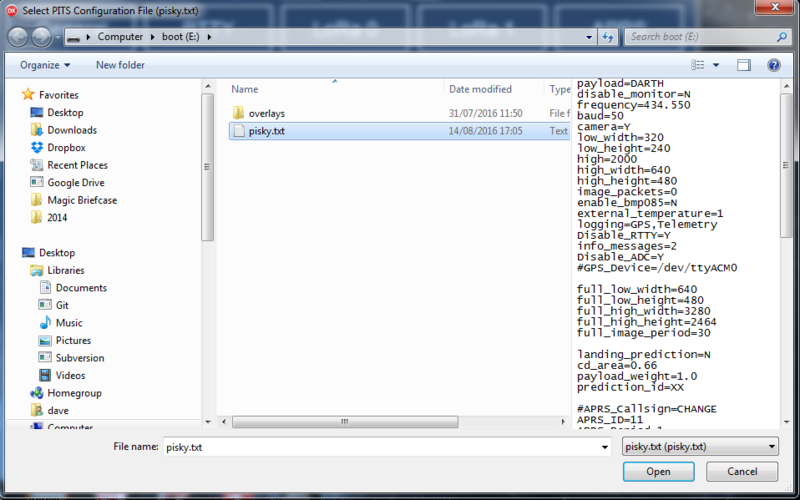 RTTY - Settings for the RTTY channel, which is present on all PITS boards. LORA0 - Settings for LORA channel 0 (labelled as CE0 on the LoRa add-on board). LORA1 - Settings for LORA channel 1 (present on PITS Zero, and labelled as CE1 on the LoRa add-on board). To view a section, just click on one of the 5 rectangular buttons at the top. The settings for that particular section will then appear on the left of the screen. Click on any item, or use the up/down cursor keys, to selecvt an item for display on the right. 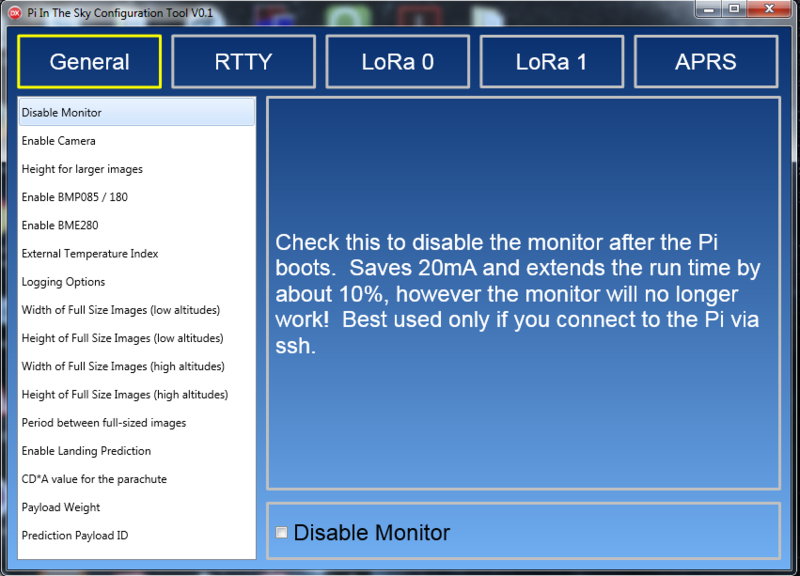 The program will display the current value and an explanation of what the setting does. Each of the radio channels also has a check-box that enables or disables that channel. 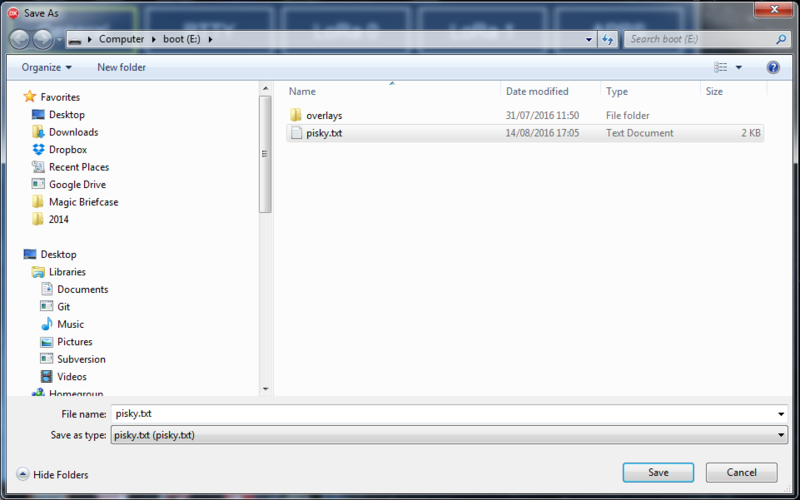 When the program is closed, it offers to save the settings in pisky.txt. Normally this would be the same file that you opened, but it is possible to save elsewhere on your computer. The other changes you may notice is that disabled channels have all lines commented out, and that new lines are added containing default values for settings that were missing from the original file. All of the common settings are included in the program; others will be added in due course.